Sun City Mesquite Community Recreation Center grand opening and events will be held on November 17, including food, fun and music. 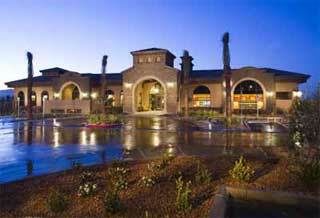 Del Webb will showcase the 30,000 square feet recreation center at the age qualified Sun City Mesquite real estate. Tours will be held for the public grand opening. The center overlooks the Conestoga Golf Course with an expected finish in 2009. Monteverdi condos in north Las Vegas real estate by Pulte Homes has started presales of its new townhomes in a gated neighborhood. Monteverdi condominiums is centrally located to the Las Vegas Beltway and a brand new neighborhood with many conveniences. The north Las Vegas community will include a pool, fitness center, play park and barbecues. Terrasini condo neighborhood is assisting with the presales in the Aliante Las Vegas master plan. Model homes at Villa Trieste are expected to be available later this year with home prices from the $470,000s. 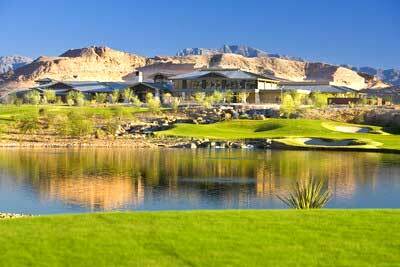 Pulte Homes is offering the new home designs for the first time in Southern Nevada real estate. The Club at Madeira Canyon in Henderson, Nevada real estate by Pulte Homes and Del Webb opens its community center to Las Vegas on January 20. The Club is a 11,200 square foot center which opened to Henderson residents in December. There will be activities and fun from 10 to 5 pm. A non age restricted community, The Club at Madeira Canyon by Del Webb, is located at the beautiful Henderson Black Mountains. The real estate development is the highest-elevation residential development in Las Vegas, Nevada. The homes for sale in The Club includes one and two story homes from 2,096 to 4,817 square feet. The prices start in the low $600,000s. Pulte Homes says the community center sets a higher standard in recreational facilities. The fitness center upscale features include natural stone flooring, custom trusses, and a custom rock fireplace. The Club home owners experience innovative and luxury of the new home floor plans in Madeira Canyon real estate.